In 2015, the NACE International Institute launched its Contractor Accreditation Programme (NIICAP) an industry driven and industry managed accreditation programme that verifies a contractor’s quality assurance programme, support practices, production processes, and personnel management and raining programmes. NIICAP’s purpose is to lift the quality and reputation of the entire industry through the execution of a thorough audit programme based on ISO standards. The NACE International Institute Contractor Accreditation Programme was designed and guided by industry experts – representing owners and contractors – to be a vital tool that coating contractors and asset owners can use to improve operations, reduce costs, increase visibility and opportunity, and prequalify prospective contractors. The NIICAP programme provides accreditation for contractors who achieve professional project management and project performance in the surface preparation and coating or lining application industry. With this comprehensive and innovative programme, coatings contractors, as well as the asset owners who seek to hire them, now have a transparent, customer driven accreditation for improving product and service quality, extending asset life and performance, enhancing best practices, mitigating business and health, safety and environmental (HSE) risks, and marketing themselves against competitors. NIICAP was designed to be a transparent, industry driven system to ensure that asset owners who specify and select NIICAP-accredited contractors know they are making an informed choice for an area of their business that cannot be compromised. Earning accreditation through NIICAP is centered on a detailed onsite audit process. Contractors who successfully pursue accreditation distinguish themselves as best-in-class coating contractors by demonstrating the highest levels of knowledge, consistent performance, trained personnel, product and service quality, organisational quality processes aligned with ANSI/ISO/ASQ Q9001-2008: ‘Quality Management Systems – Requirements,’ 2008. A key feature of NIICAP is that onsite audits are required annually, to give maximum assurance to asset owners. Project site audits are overseen by NIICAP contracted third-party auditors who have documented quality assurance experience and expertise in the practices being audited. 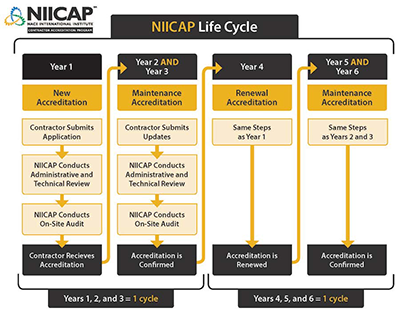 The NIICAP programme is under the purview of an Oversight Board, composed of eight members who are responsible for setting the technical direction for NIICAP; voting on the conferral of accreditation to contractors; ensuring NIICAP is meeting owner, contractor, and industry needs; and managing a continuous improvement programme for the accreditation process. In the development of NIICAP, three contractors agreed to serve as test candidates for initial audits. 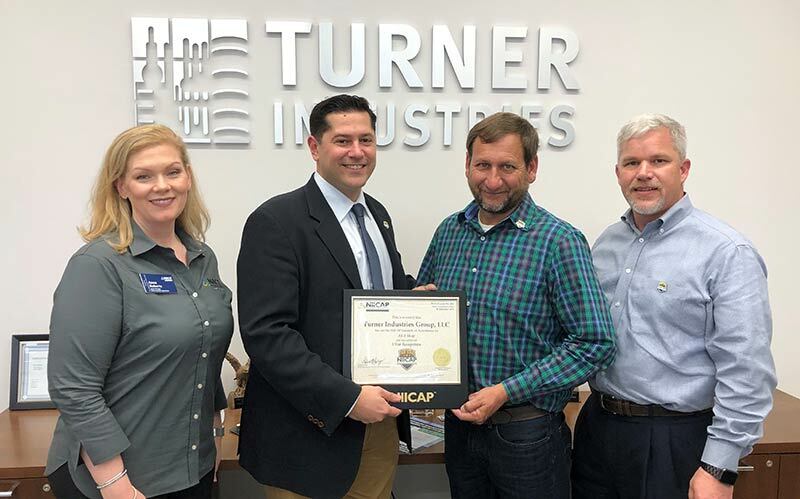 Turner Coatings LLC, Blastco, and Thomas Industrial Coatings worked with the NIICAP developers and auditors who utilized NIICAP written audit standards to perform onsite inspection of business practices. Each company went through NIICAP’s complete audit process, which included an in-depth audit leading to a full assessment of the contractor’s business and administrative practices, as well as practices in the field or shop. A NIICAP auditor went to each contractor’s business location or project site location to audit quality processes, observe performance and assess capabilities. To ensure the highest standards, the NIICAP programme follows a firm Policy and Procedures Manual, which highlights the transparent accreditation and auditing programme that is focused on open communication and free of conflict of interest. The programme endorses only coating contractors who have demonstrated capabilities and competencies necessary to meet owner requirements. AS-1 – NIICAP Audit Standard 1 (AS-1) Programmes for Accreditation of Field and Shop Coatings Contractors. AS-2 – NIICAP Audit Standard 2 (AS-2) Hazardous Waste Removal and Management Accreditation. AS-3 – NIICAP Audit Standard 3 (AS-3) In-House Applicator Trade Skills Training Accreditation. The Initial and Renewal Accreditation process is a thorough review in accordance with the relevant auditing standard; the Maintenance Accreditation Process is similar, however it involves validation of known programmes and work practices and is less intensive. The cycle consists of one Initial accreditation, followed by two Maintenance accreditations, and starts over with one Renewal accreditation followed by two Maintenance accreditations. At the end of the third year, the Renewal cycle is repeated. The administrative portion is completed offsite prior to the auditor’s visit; the number of days for the onsite audit is dependent on various factors and changes according to the cycle point. For contractors and asset owners the comprehensive audit process is a lasting benefit. Contractor audits include field accreditation, shop accreditation, accreditation of employer internal training programmes and hazardous waste removal and management accreditation. As part of the programme, contractor’s performance excellence is rewarded by reducing the cost of the subsequent review period. The asset owners’ audit process includes an extensive administrative pre-audit review and communications, an on-site audit (shop and field), an observation of the contractor during a job-in-progress, and a post audit debrief. 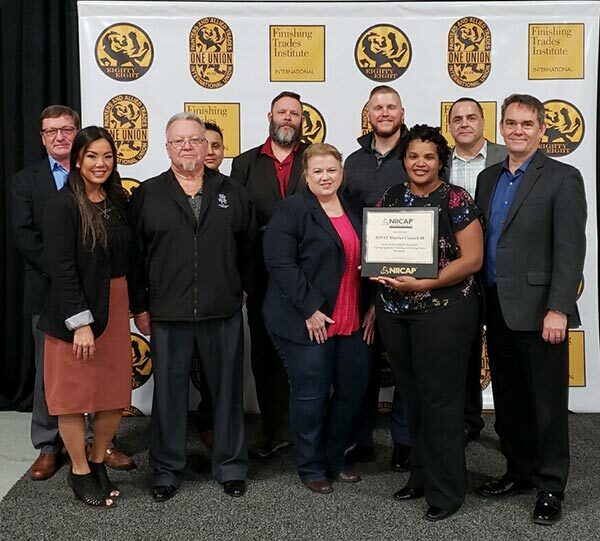 Accreditation also validates management and work practices providing the assurance that business practices, personnel and equipment availability, company history, and training are meeting or exceeding the most effective and efficient practices in the industry. Following the in-depth audit, contractors receive the written results within the 21 days. Those who attain accreditation can immediately use the NIICAP seal to market their organisations. Applicants who do not attain accreditation will receive a detailed report explaining why the decision was made, and they will then be given the opportunity to correct the deficiencies, appeal the results, or reapply at a later date. The same is true for asset owners who, through the process of receiving accreditation, prove they have a verifiable, organisation-wide quality programme. The renewal process enables continual improvements, which will result in fewer failures, minimal reworks and callbacks, and less downtime at customer sites. “It is regularly reported that a large portion of costly industrial coatings failures can be traced to product application. The NACE International Institute committed to delivering this programme to raise the performance, and the stature, of this critical industry,” Helena Seelinger, Executive Director of the NACE International Institute said.